If you’re looking for easy songs on guitar you’re in the right place. Let’s do it. Jack and I often see guitar beginners get frustrated because they feel they’re not making progress as quickly as they’d like. Often, there’s a specific song they want to learn but they can’t manage it. This leads to frustration and a feeling that they are ‘not talented enough’. Are you in this camp? 99 times out of a 100 this frustration is due to people taking on songs that are simply unsuitable for beginners. If you were teaching a child to swim, would you drop them into the deep end of the pool? Of course not. You’d put them in the shallow end, with inflatable arm bands or water wings. You’d make it EASY for them to stay on top of the water and make progress. And that’s what we want to do for you in this lesson. Our motto as a company is: ‘Make Things Easy & Fun’. Finding easy songs on guitar is difficult for total beginners because they can’t tell, at-a-glance, what will be easy or difficult. This is why so many guitar beginners bite off more than they can chew. 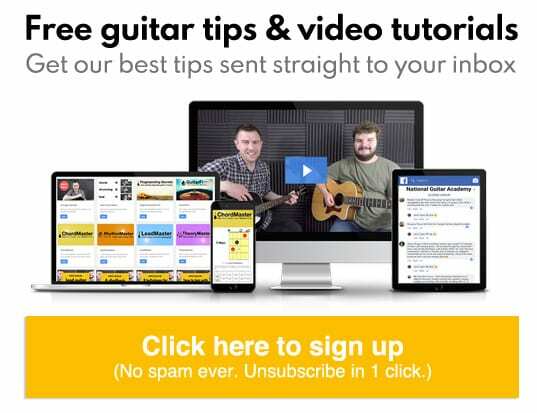 And it’s why we created this epic list; a free resource for guitar learners all over the world. For each track we’ll give you a little context, teach you easy versions of the chords, a show you a few videos. If you don’t like these songs you will still find super-useful tips in the walkthroughs. Remember, these are tips that you can apply with any song in the future. 1. ‘Shake It Off’ by Taylor Swift. The first song we’re going to learn is ‘Shake It Off’ by Taylor Swift. 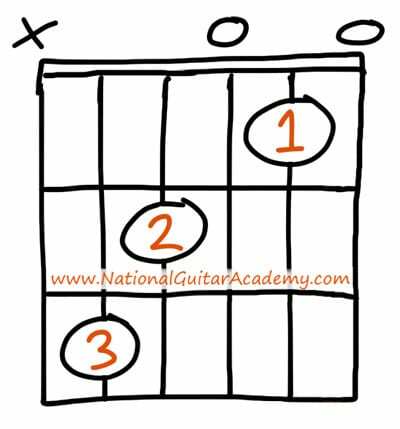 This is an easy song on guitar because it only uses 3 simple chords. Why is this an easy song on guitar? It only has 3 chords in it. The chords can be played with just 2 fingers. The chords are the same all the way through. The strumming pattern is nice and simple. This is an easy song on guitar mainly because of the chords. The 3 chords are Am, C and G.
We’re looking for super easy songs on guitar, so we need to make this as simple as possible. With that in mind, we’re going to play an easy version of Am which is called Am7 (pronounced “A Minor Seven”). Can you see that we only need two fingers? Nice and easy. We need to use our first finger and our second finger. Fingers 1 and 2. Our second finger goes on the 2nd fret on the D string, and our first finger goes on the first fret of the B string. To play this chord we strum from the A string, and it should sound a little like this. 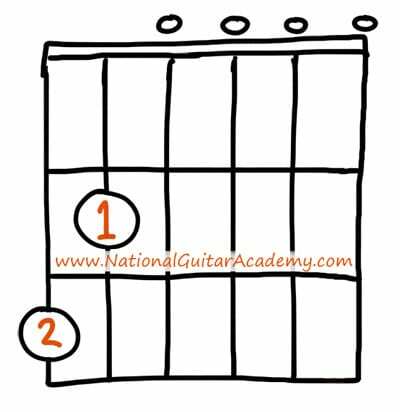 To learn other easy ways to play Am check out this beginner lesson in our easy chords section. TOP TIP: Whenever you need to play Am you can use Am7 as an easy substitute. 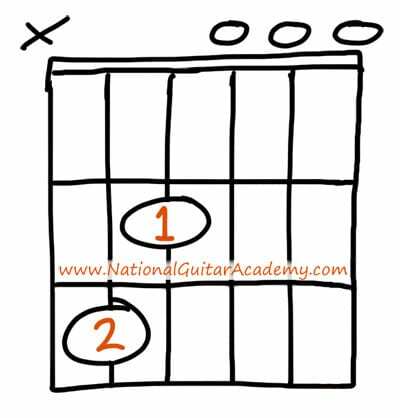 This is one of the most common guitar chords of all. But it’s very hard for beginners to play because it requires 3 fingers, spread over 3 frets. We need an easier version of C.
Usually, we play this chord with fingers 1 and 2. But if we’re moving to it after an Am7 then it’s easier to use fingers 2 and 3 because finger 2 is already in the right place! Try this. It’s a very useful tip. 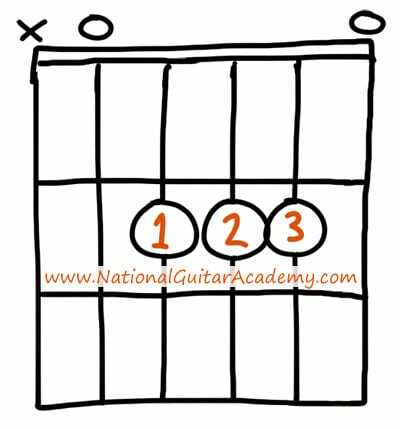 Doing this means you don’t have to take your hand off the fretboard and for beginners this is a big help. Feel free to customise your chord transitions. There are multiple ways to play every chord. You don’t have to use the ‘recommended’ fingers. Can you see that part of our quest to find easy songs on guitar is about ADAPTING songs to MAKE them easy? This is a key point that we’d like you to take from this lesson. Don’t feel that by using easy chord versions you aren’t learning ‘properly’. As guitarists we use different fingerings for chords all the time and we often use chord substitutions on the fly depending on the demands and feel of the track. Chord transitions, voicings and fingerings are a fluid thing and we want you to develop dexterity and control in ALL fingers. So mix it up. Using easy chord versions (or as I like to call them ‘stepping stone’ chords) is a progress accelerator. The last chord we need to know here is G. As with our Am and C chords, there are lots of different ways to play G.
Can you see this is the same shape as the Cmaj7, just lower down? We usually play G6 using fingers 1 and 2, as shown here. But if you were playing Cmaj7 before it using fingers 2 and 3, then you can simply move those 2 fingers down. You can use fingers 1 and 2 to play G6. You can use fingers 2 and 3 to play G6. A great way to get faster at moving between chords is be like a pool player and think one shot ahead. 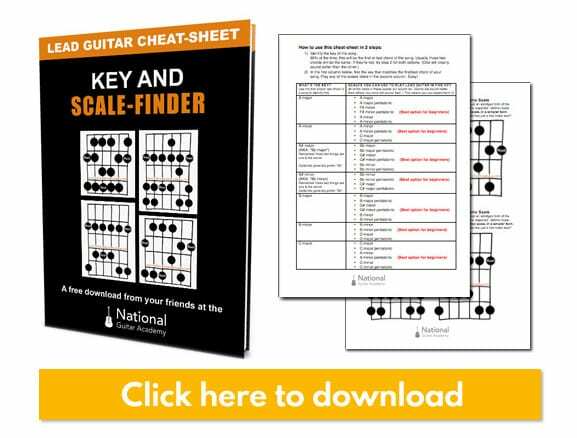 Modify your chord fingerings if it makes it easier to reach the next chord. Regardless of what fingers you use, the G6 chord should sound like this. Now we know the chords to this track we can look at learning the song and consider the strumming pattern. Here’s a video of Jack explaining a strumming pattern you could use for this song. Ok, our quest to find easy songs on guitar is underway. Let’s move on! The next song we’re going to learn is ‘Radioactive’ by Imagine Dragons. This is an easy song on guitar and perfect for beginners. This song is by US alt-rock band Imagine Dragons. It has loads of electronic music in it as well as some really cool guitar parts. It’s the same all the way through. The strumming patterns are interesting and great fun to play. To make the song easier to play. If you’re struggling to find easy songs on the guitar, you can often MAKE songs easy by using a capo. We won’t cover this in detail here, but just be aware that using a capo can often make songs easier to play (because changing the guitar’s key enables you to use easier chord shapes). A capo changes the sound of the chords you play. They’re great fun! For this track we need our capo on the 2nd fret. Using a capo raises the key of your guitar. 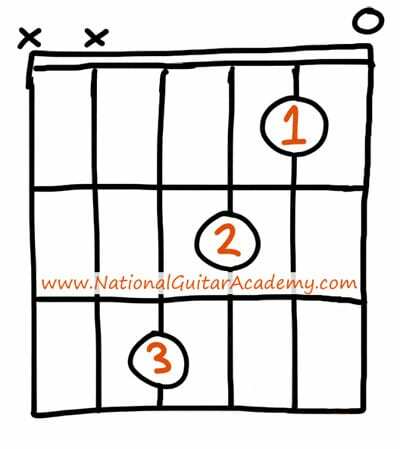 The first five chords a beginner guitarist should learn are: Am, C, G, D and Em. These are the most commonly used chords. For this track we need to use the first 4: Am, C, G and D.
We already know the first 3 of these chords and we’ve learned super-easy versions of each one. The only new chord here is D (or to use its full name ‘D Major’). This is a tough chord for beginners. It’s at the opposite side of the guitar neck to most of the notes in common chords like C, G and Em. We need an easy version! Don’t worry too much about what “Dsus2” means, just think of it as another way of playing a good old D chord. I prefer my students to play this chord with their 1st and 3rd fingers because that will make it easy for them to graduate up to the full D. Take a moment to compare the two chordboxes above and see what I mean. So in general, it would be best to use fingers 1 and 3 for this chord. 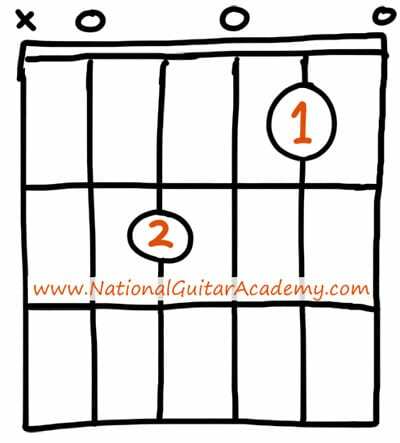 However, if you’re a TOTAL beginner and just want to get started exploring the guitar then you can obey your natural urge, which will be to play this chord with fingers 1 and 2. To learn other ways to play D read this lesson. For most people, Dsus2 will be the hardest of the 4 chords we’re looking at today. That’s normal, don’t worry. 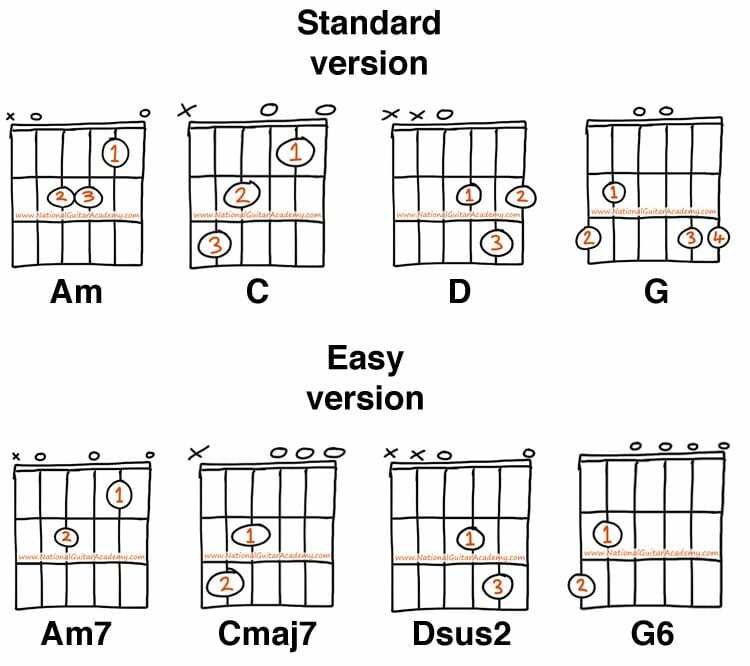 But I hope you agree these 4 chords are MUCH easier than their standard versions. Now we know all the chords for our song, we can have a look at how it all fits together. Strumming Patterns and completing the song! 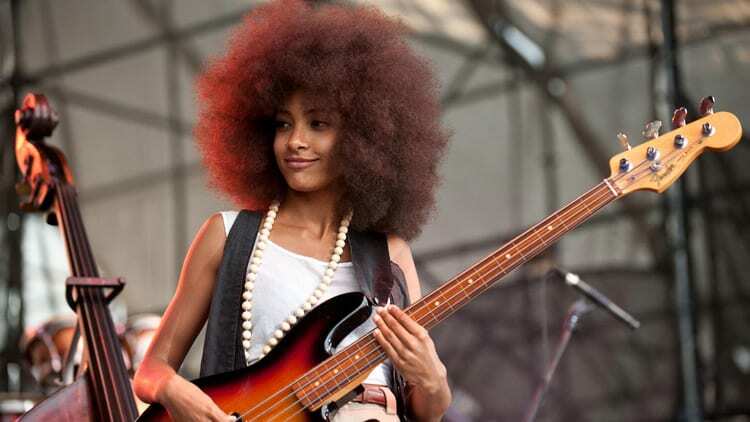 Half the battle beginners face when learning new songs is simply knowing the chords well enough. We can do something really simple to help with this: Try to strum each chord just once, in time. By doing this before we attempt full strumming patterns it allows us to get a feel for the track and map out the chord transition ahead of time. This builds muscle memory and makes a big difference. It will help us get us to a point where we can change between chords smoothly. The next song we’re going to look at is “Stand By Me” by Ben E King. A classic and a nice, easy song on guitar. This song came out in 1960 and was listed as one of top 500 songs of all time by Rolling Stone Magazine. It has just four chords. It has great strumming patterns in it which help you improve your rhythm. The chords we need to know for this song are G, E minor, C and D.
We’ve already covered G, C and D.
It’s easy. It only requires two fingers. It’s compact. The two fingers are close together and on the same fret. It sounds good. It has a very full sound. It’s simple. You don’t have to worry about missing any strings out, you can just strum all 6 strings. 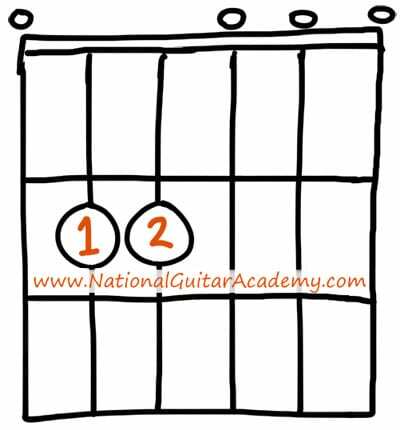 Place your 1st finger on the 2nd fret of the A string. Place your 2nd finger on the 2nd fret of the D string. To learn other ways of playing Em, read this lesson from our Easy Chords section. Now we know all the chords for ‘Stand By Me’ we can get stuck in and learn the song. 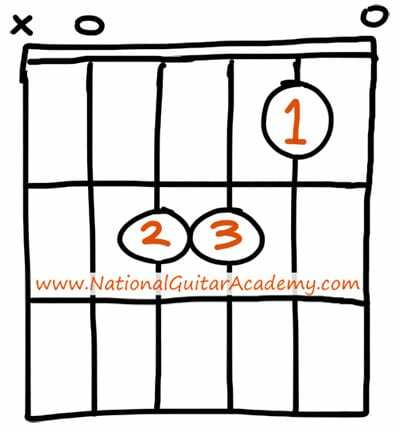 Strum each chord once, remember this helps our chord changes and muscle memory. Ok, our search for easy songs on guitar is gaining momentum. This one is a little trickier, the chords are ok, but the strumming is a bit harder. 4. ‘Breakfast at Tiffany’s’ by Deep Blue Something. The next song we’re going to learn is ‘Breakfast at Tiffany’s’ by Deep Blue Something. This is an upbeat track that’s great song for beginners. It uses only 3 chords. The strumming pattern is great fun to play. It’s excellent for developing rhythm. We can learn about song structures. The chords we need to know are D, A and G.
Three chords for a song? Nice! 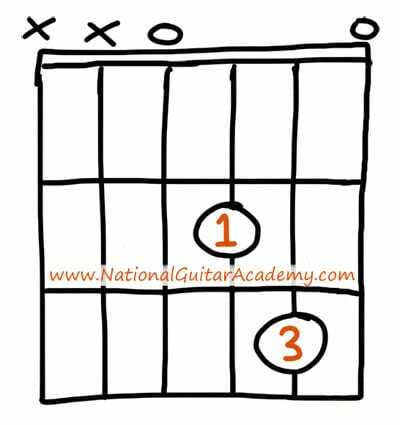 Lots of great songs have just 3 or 4 chords. We already know D and G, we learnt them earlier, so let’s look at the A (or to use its full name “A major”). We need an easier version. Even though this may seem a little like cheating, it doesn’t matter: The whole goal of this is to create music and have fun. 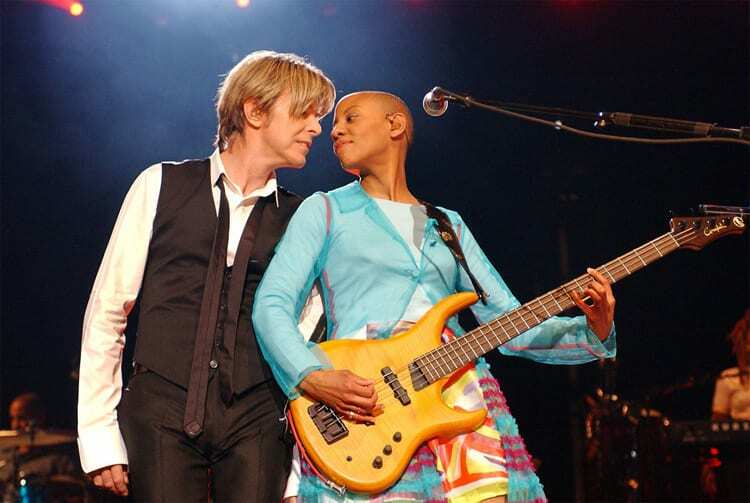 To keep moving forward as a guitarist you must keep playing regularly. Finding easy songs on guitar and adapting songs to MAKE them easy is a critical skill for a new guitarist to master. Put your first finger on the 2nd fret of the D string. Put your second finger on the 2nd fret of the G string. 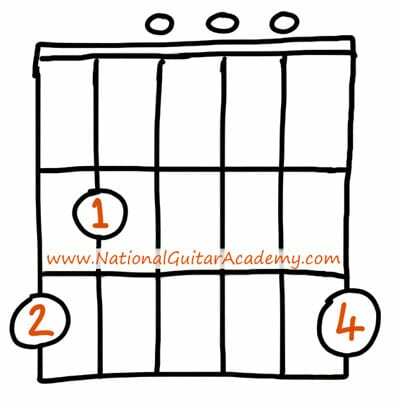 If you want to learn other easy ways to play A, read this lesson from our Easy Chords section. An easy way to remember this chord is it’s the same hand shape as Em, but one string higher. In Breakfast At Tiffany’s, there are two different sections. They use the same chords, but in a different order. Now we have the chords underneath our fingers, let’s look at some strumming patterns we can use for each section. Now let’s look at some riffs! As a general rule, riffs are note-based rather than chord-based, so this song is a bit different to the ones we’ve looked at so far. Some of the best guitar songs for beginners are riff based and we’re going to look at two of them. This is aimed at electric players, but there’s no reason we can’t play this on acoustic too. Why is this riff so well suited to beginners? The main riff can be played on one string. The main riff of this song can be played on the A string. So we go 7th fret, 7th fret, 10th fret, 7th fret, 5th fret, 3rd fret, 2nd fret. When playing rock guitar riffs it’s really important to think about what sound you want from your amplifier. Do you want to use a clean or distorted sound? What about reverb? Will it help your sound blend in or stand out? Which pickup could you use? Do you need more bass? More mids? More treble? Less? Remember there is no right or wrong here. As long as you find something you like and it inspires you, that’s really all that matters. The next riff we’re going to look at is from “Sunshine Of Your Love”, an awesome rock track by British band Cream. This is one of the most iconic guitar riffs of the 1960s. It’s just one-note picking and not too fast. It uses more than one string, so is great for getting beginners around the fretboard more. It sounds awesome and is SUPER easy to get under the fingers. It’s one of the most famous riffs of all time. The only frets we need to use are the 3rd, 4th and the 5th frets. The next song we’re going to look at is ‘Pompeii’ by English indie rock band, Bastille. It uses just four chords. It has a simple structure. Can you guess what 4 chords we’ll use? The four most common chords of all: C, G E minor and D.
We already know these chords and their easier ‘stepping stone’ versions, so we’re pretty much ready to rock. If you have a capo, put it on the second fret. If you don’t have a capo, buy one! I love Jim Dunlop trigger capos. They are brilliant, easy to use and built like tanks. They are more expensive than the cheaper plastic (and awful elastic) capos, but they last a lifetime. To get used to the changes between these chords, we can strum each chord once before we move on to the next one. Don’t forget we’re using our capo on the 2nd fret here. Our next song is a classic, it’s The Joker by The Steve Miller Band. This is an easy song on guitar because the chords are so straightforward. This song was released in the 1970s and topped the US billboard charts in 1974. It’s been covered by loads of different artists like Jack Johnson, The Smashing Pumpkins and even Mike Myers in his movie The Love Guru! These quick chord changes will help you get faster at transitions. This song uses the same three chords, but they swap around in different sections. This makes things a little bit more interesting. Chorus: Our chorus is slightly different, it uses the same chords but it repeats some of them. 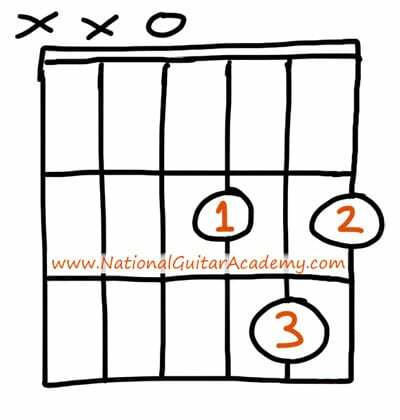 This makes it really fun to get under our fingers and is also an added challenge as it can be tricky to go back and forth between chords! Great for practice. Seems like a lot of G’s and C’s right? It is, it’s great practice as it gets us moving our right hand and requires good timing. This song was made popular by Pharrell Williams and French dance act, Daft Punk. It has sold over 9.3 million copies world wide, making it one of the best selling songs of all time! This is an easy song on guitar because the chord pattern doesn’t change at all. You already know all 4 chords, so we should be in business straight away! You’ll also be pleased to know that this song is the same all the way through. 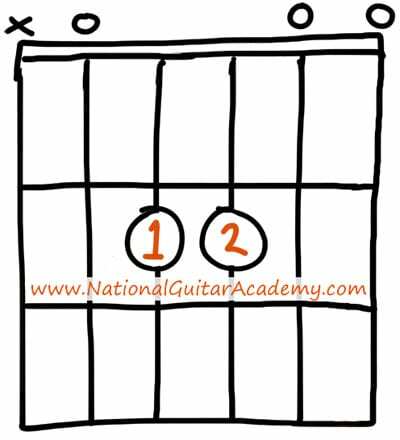 To play this track in its native key you need to put a capo on the 2nd fret. Remember, you don’t have to use the capo. It will still sound great without it. So you might be wondering, as you’ve reached number ten on the list…. Where is the tenth song? Well I’m about to let you in on a little secret. There are four chords which let us play HUNDREDS of different songs. Sounds ridiculous, right? Well I can understand why you’d think so, but you really can play hundreds of songs with just these four chords. Same four chords all the way through. Pretty cool, huh? We’ve already covered the first 3 chords, so let’s look at the F.
If you want more help with F chords, read our lesson on F chords here. Putting the epic four-chord song together! Here’s what they sound like when you put them all together. 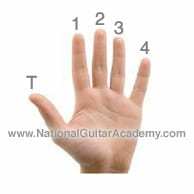 Notice that in this chord pattern, your first finger never leaves the fretboard? It stays in one place. You only ever move fingers 2 and 3. With the 4 above chords, played in this way, you can play the 73 songs listed below. You’ll should less trouble finding easy songs on guitar now! Pretty amazing, right? I’m sure you’ll find something in there that you will like! Download this lesson’s worksheet and test how much you’ve learned.